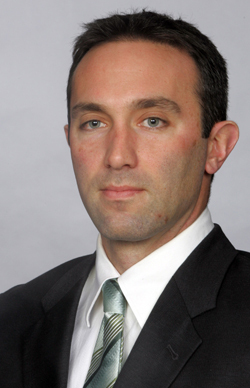 Justin Blood will share his knowledge and experience regarding reaching players.” His success at UConn in this area is well-documented as he helped return the UConn program to regional prominence and national relevancy, as the team claimed its second NCAA Championship berth in as many years in 2011. The 2010 berth was the first time the program qualified for NCAA play since 1994, while this season’s squad captured the Big East Conference regular season championship, the program’s first. While at UConn, Blood was part of a staff that had 16 players drafted, including a school-record six in 2009. Of those 16 players, 11 came from Blood’s pitching staff. The MBCA is thrilled to have Coach Blood speak about the many ways he has used to connect and reach players.